Located in the Hoodi area of Bangalore, the Ocean View Associates hotel looks appealing with its white and dark grey exterior, resembling an apartment building. The rooms are decorated in shades of creams and contrasting browns with pale wooden wardrobes and patterned curtains. 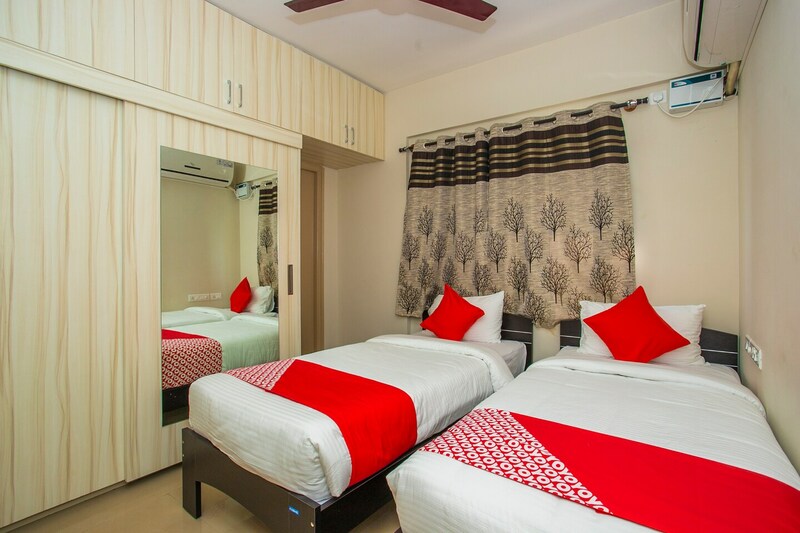 The soothing design of the rooms encourages guests to relax and feel comfortable. The views from the balcony are breathtaking, showing wide greenery, the skyline and other buildings. The hotel provides a common seating area with plush armchairs and a designated dining area as well. Other amenities offered by the hotel include access to free WiFi connectivity, elevator service and parking facility.